The 9 Best Thrift Stores in Delaware! From stores with a religious purpose to Habitat for Humanity and veteran-run shops, the great thrift stores of Delaware are first rate. Below are just 10 of the great shops that call Delaware home. So, when you are shopping for a bargain, check out one of our favorites. Habitat sells “new and gently used household items” such as appliances, furniture, windows and doors, light fixtures, cabinets, sinks, home hardware, and more to benefit the construction of living spaces throughout Delaware. They specialize in the resale of overstock, discontinued, and recovered items that are donated by manufacturers, contractors, and stores, so there are lots of goodies to choose from. Plus, you can help build homes in your community. At Community Hope Marketplace, you'll find a ton of merchandise. That’s because they buy goods from “salvage and distressed market” and turn them over for 25-40 percent below the average retail value. Find furniture, clothing, food, and appliances, as well as toys and electronics to help you stretch your dollar. Plus, all proceeds go to benefit the community, sports, and educational programs. New Life Thrift Shop creates revenue for the Lewes-Rehoboth Association of Churches. The LRAC is “a voluntary collaboration of Churches in and around Rehoboth Beach and Lewes. ],” and delegates and volunteers staff the shop. Some community works projects that result from funds provided by the store are “Christmas Cookies for Prisoners,” substance abuse counseling, and home repair and weatherization programs. Established in 1916 as a teaching institution, Beebe Hospital is an institution in this area with strong ties to the community. The thrift shop opened in February 2007 and has been fundraising since that time, supporting healthcare and healthy livings. All proceeds go to bolster their charitable mission: “to encourage healthy living, prevent illness, and restore optimal health. The Christian Storehouse offers home goods, gifts, apparel, antiques, and even furniture at reduced prices. 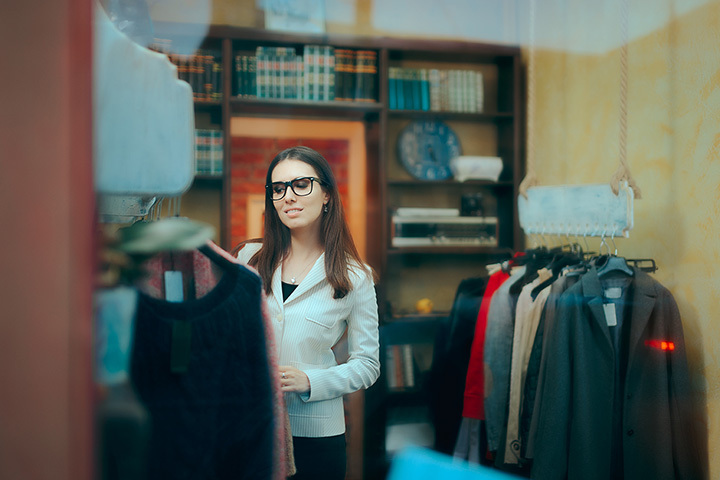 A thrift store and a consignment shop mean you won’t find better bargains anywhere else. Plus they provide emergency financial assistance, prescriptions assistance, gas assistance, and rent help. The Curiosity Shop is a thrift store that offers affordable items like shoes and apparel so that it can make contributions to community projects and run its club, the Soroptimist Club. Having been established for over 10 years, the shop staff are skilled at sorting through everything that is donated to be sure to have quality items on hand. The Curiosity Shop also provides jobs in the community. At American Veteran’s Thrift Store, they accept donations of furniture, apparel, electronics, jewelry, and more. They will also go to you to pick up gifts, which are tax-deductible. Not only does your donation and purchase help support our vets, but you also can’t beat their prices. Established in 1995, God's Way Ministries is a Christian organization that generated revenue with thrift store that sells used bedding, electronics, home decor, clothing, toys books, shoes, DVDs, furniture, and more. The mission of this organization is to reach out to the community and those in need, including substance abuse and relationship problems. The Resale Boutique is the self-proclaimed “oldest and most distinguished consignment shop in Delaware.” A consignment shop and thrift store, they carry women’s formal wear, shoes, jewelry, and more. Many of the items here are name brand, and most of the stocked pieces are in excellent condition. Plus, they feature a bridal salon and discount wedding dresses.